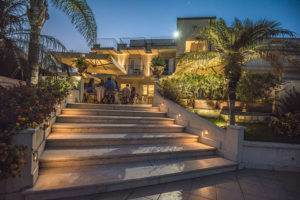 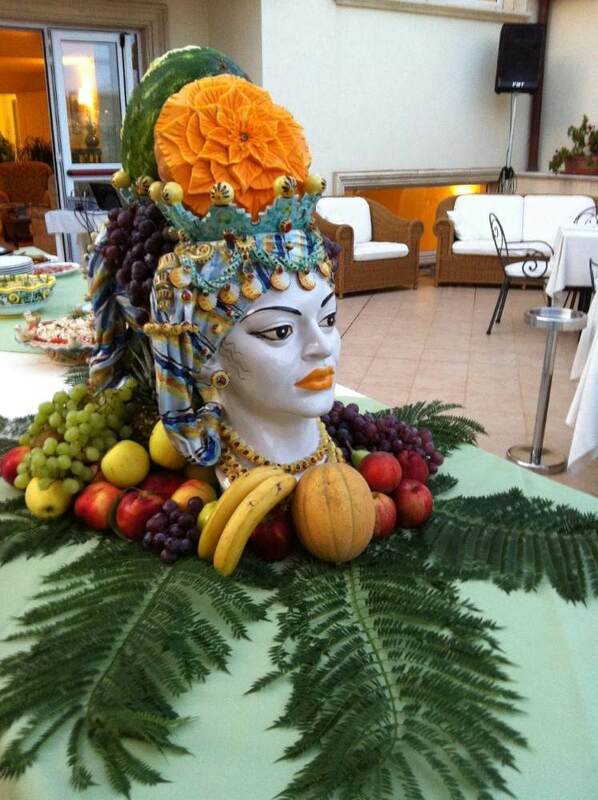 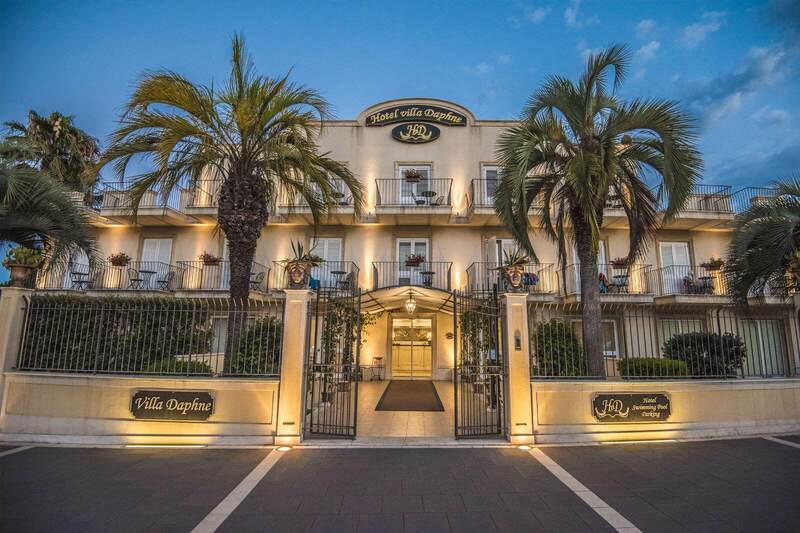 Beachfront Hotel Villa Daphne, a superior 3-star hotel, welcomes you in wonderful Sicily! 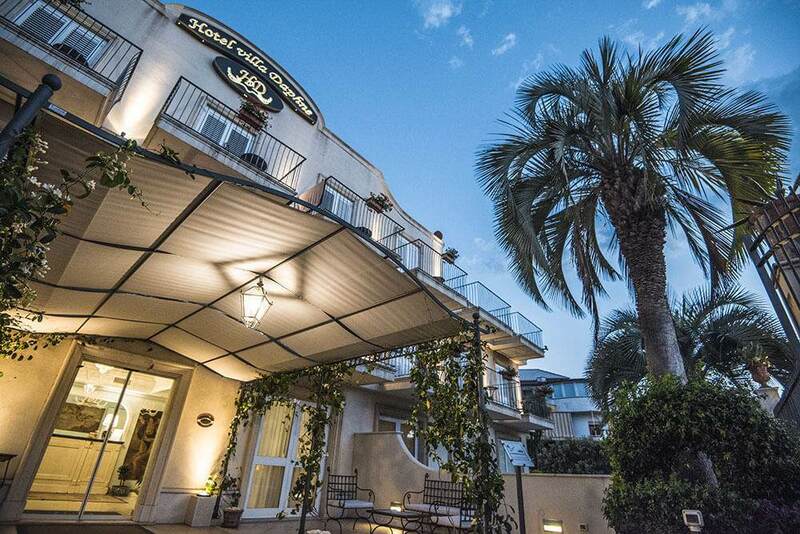 Our enviable location, near Taormina and just 250 meters from the beachfront of Giardini di Naxos, makes our hotel the ideal choice for an unforgettable vacation on the most beautiful beaches in Sicily. 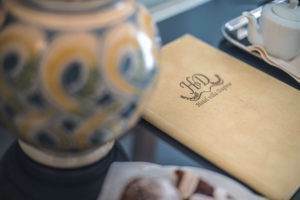 Guests at the Hotel Villa Daphne are welcomed in elegant spaces in which the utmost attention is paid to every detail, relaxing in the splendid garden alongside the pool and sun deck, enjoying traditional Sicilian cuisine and other specialties at the hotel's restaurant. 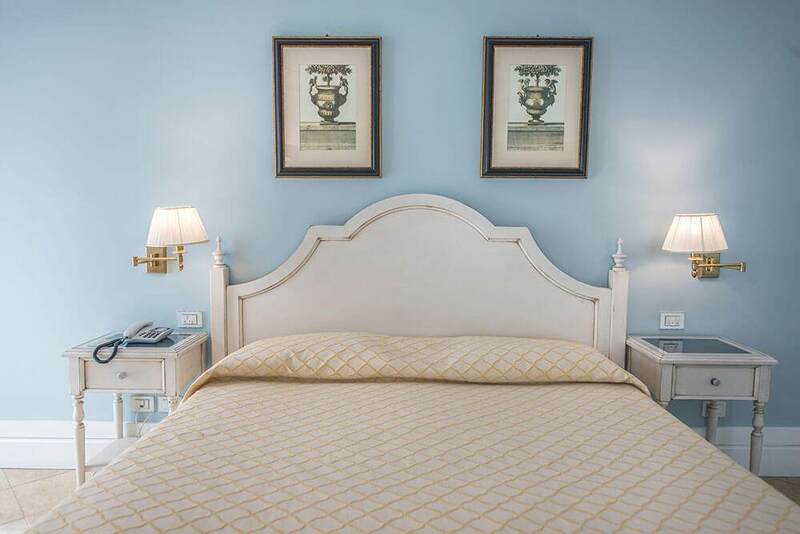 The rooms at the Hotel Villa Daphne are decorated with paintings dedicated to the ancient legend of the nymph Daphne and god Apollo. 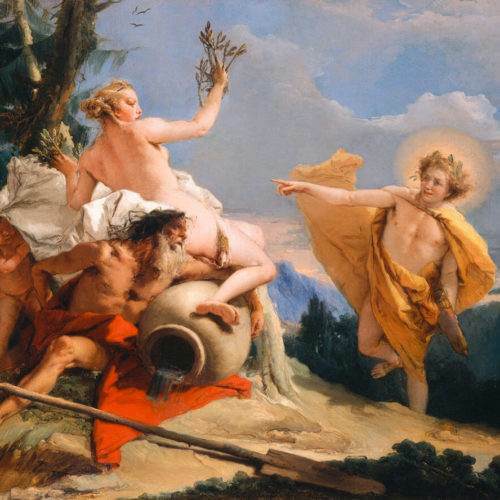 The legend narrates that Apollo, exaggeratedly boasting of his bow and arrow skills, was pierced by Cupid out of spite. 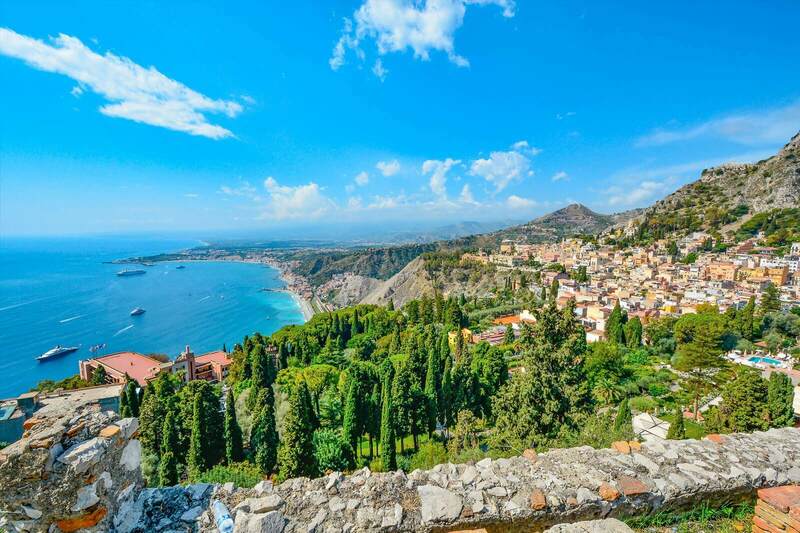 Hopelessly in love with the nymph Daphne, he was scorned by her, who in running away from him, sought help from her father Peneus who transformed her into a laurel to escape Apollo. 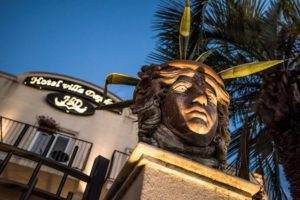 From that day on, Apollo, desperate for the loss of his love, wore a laurel crown on his head to remind him of his loved one. 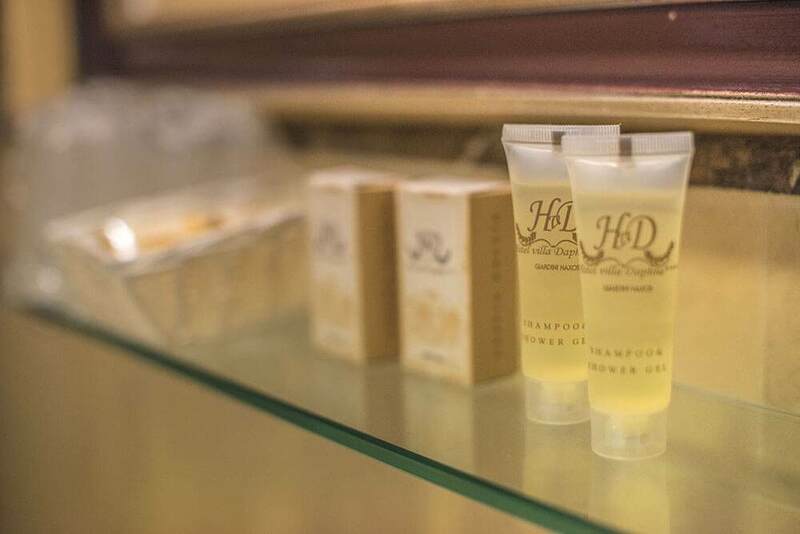 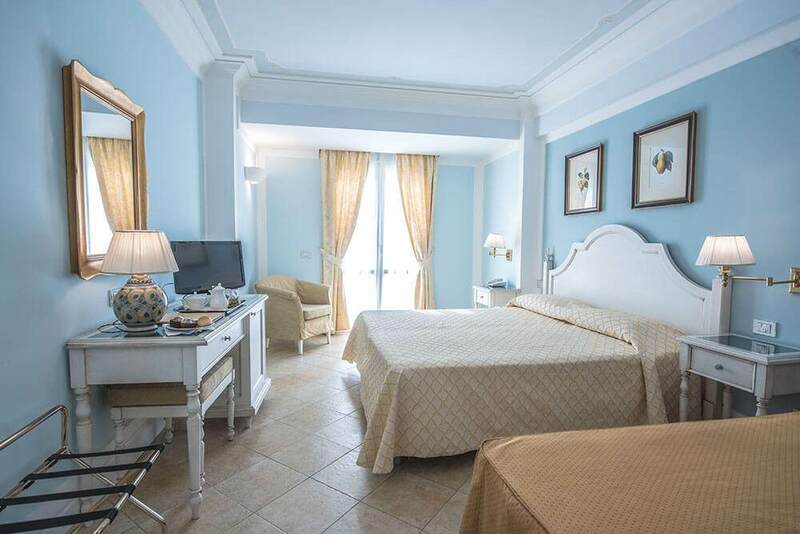 Elegant and attentively decorated rooms, superior quality services and amenities, courteous and professional staff make the Hotel Villa Daphne one of the most popular 3-star hotels in Giardini Naxos. 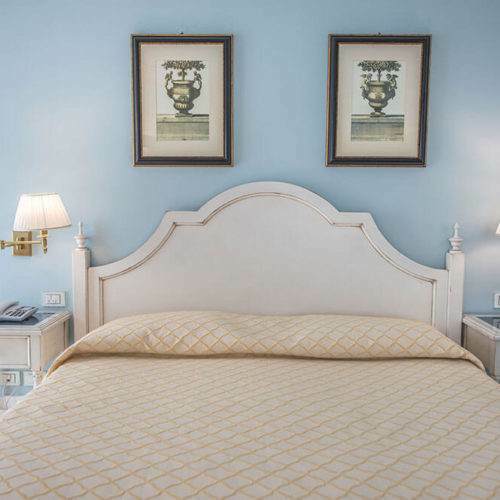 Villa Daphne has embraced the Sicilian tradition of elegant rooms classically furnished with solid wood, ample and stylishly upholstered couches, colored ceramic vases and accessories, captivating, attentive and courteous hospitality to warmly welcome guests to Giardini Naxos in Sicily. 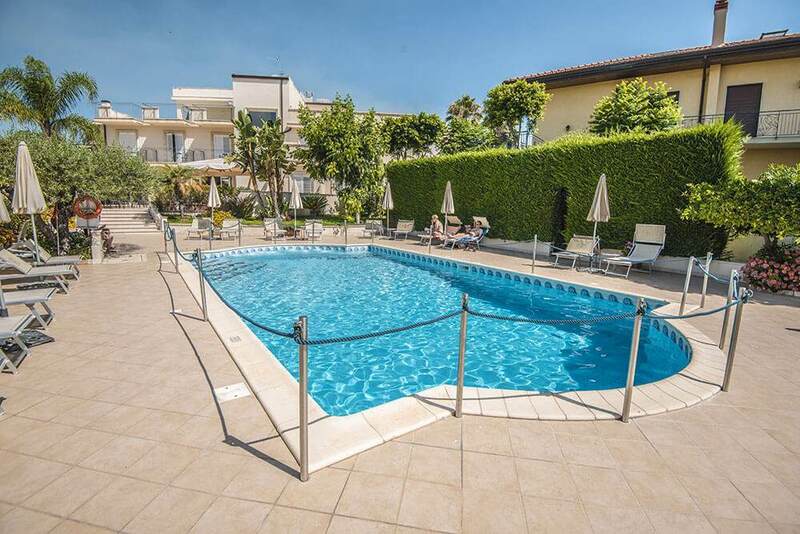 The pride of the Hotel Villa Daphne is the garden with pool (with whirlpool) and solarium with lounge chairs and umbrellas. On the terrace overlooking the solarium breakfast and candlelit dinners are served in the summer. 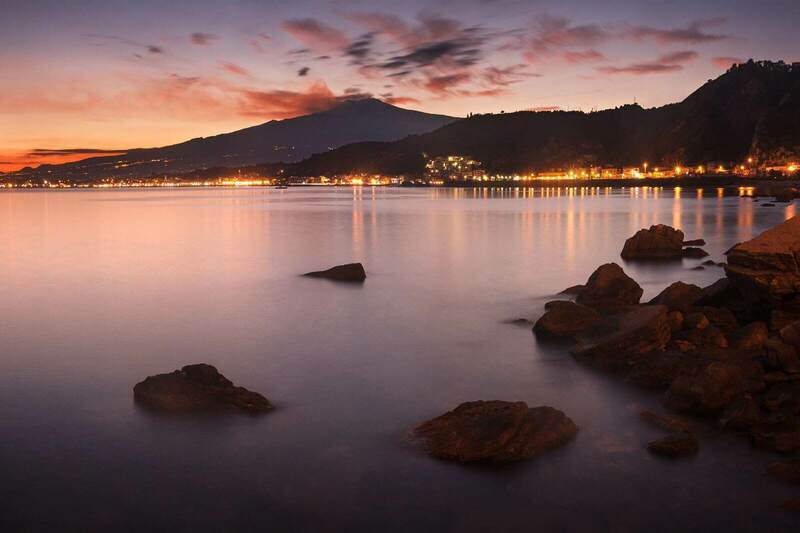 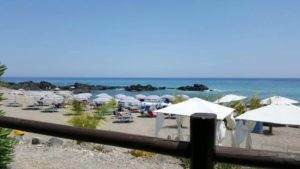 Those who prefer the beach, the hotel is near the Giardini Naxos beach (250 meters away). 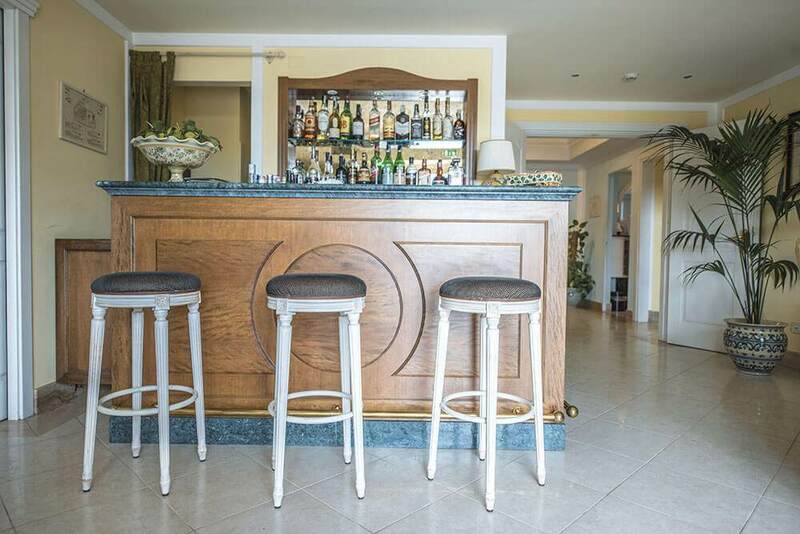 Here, the guests of Villa Daphne can enjoy a day at the beach in the partner equipped beach facilities. 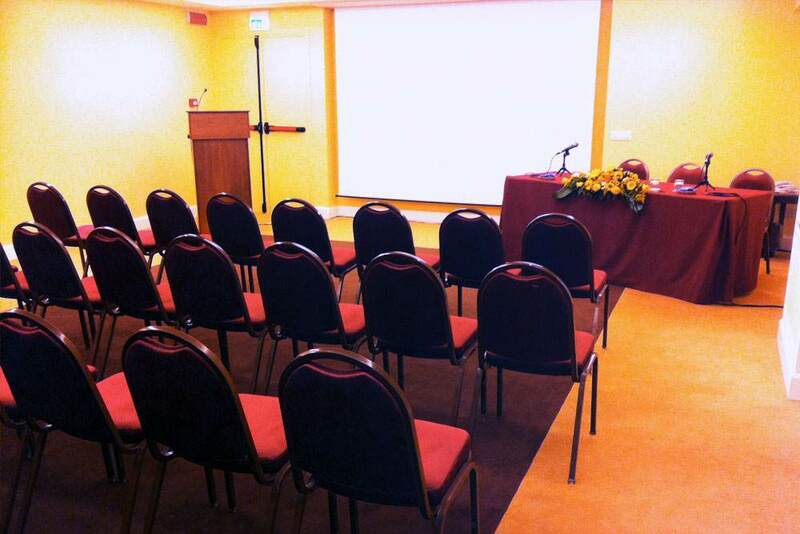 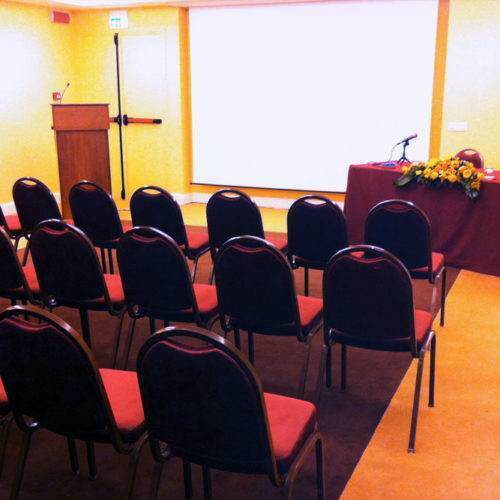 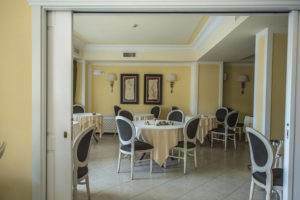 The Hotel Villa Daphne is also an elegant and functional solution for business meetings, training courses, etc., thanks to the pleasant meeting room, equipped with modern meeting technologies. 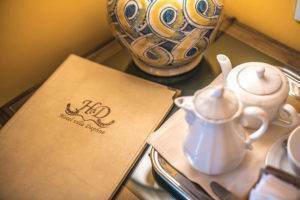 The hotel restaurant, exclusively reserved for Hotel Villa Daphne guests, offers specialties from local Sicilian, italian and international cuisine. 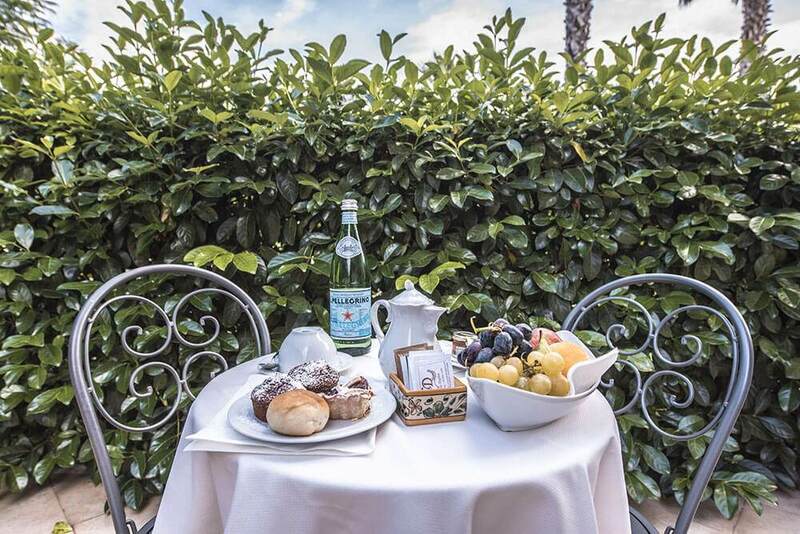 During the summer, guests can dine on the Villa Daphne terrace overlooking the pool, in a truly enchanting setting. 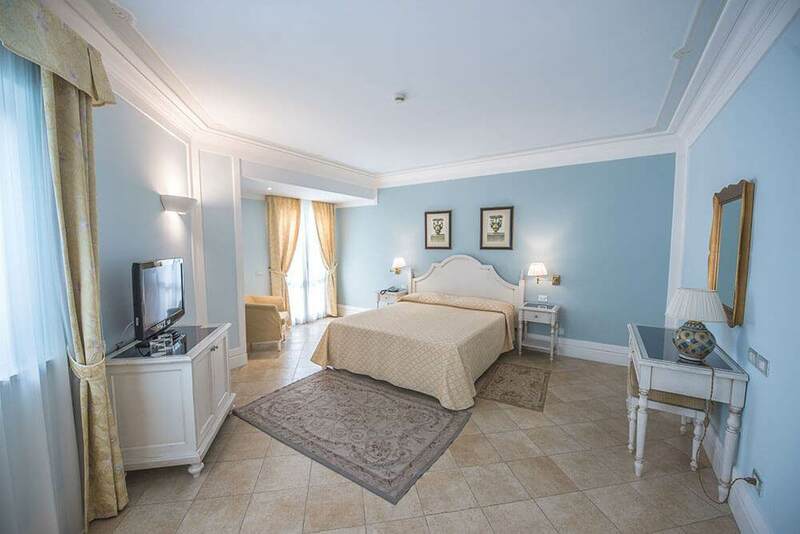 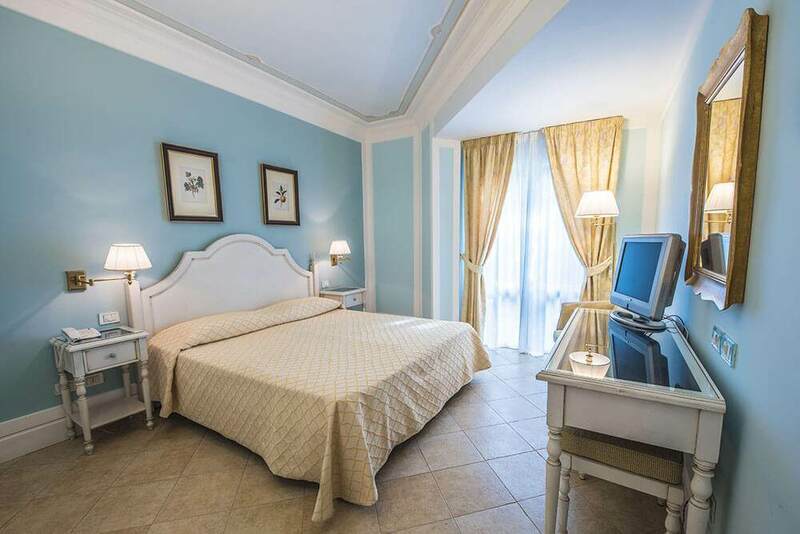 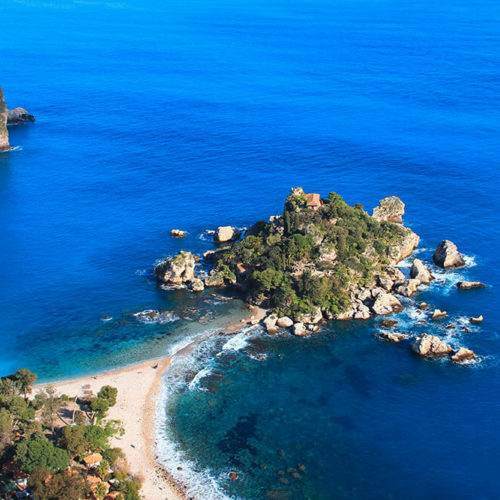 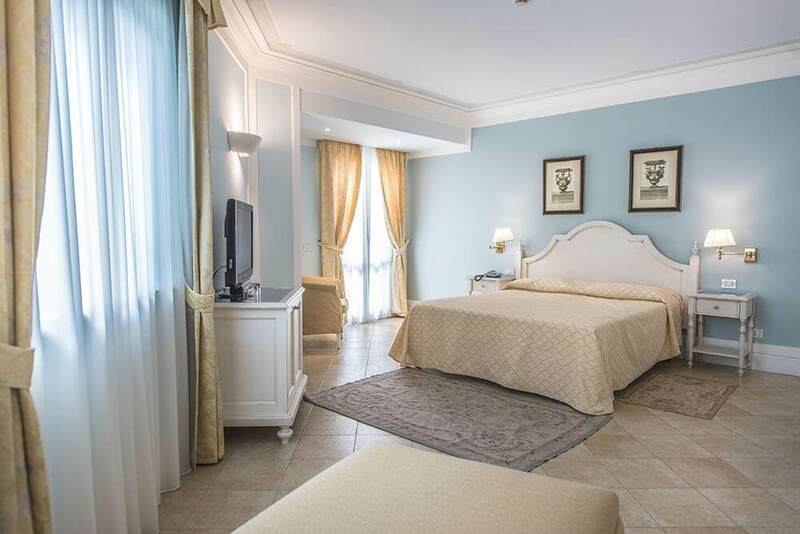 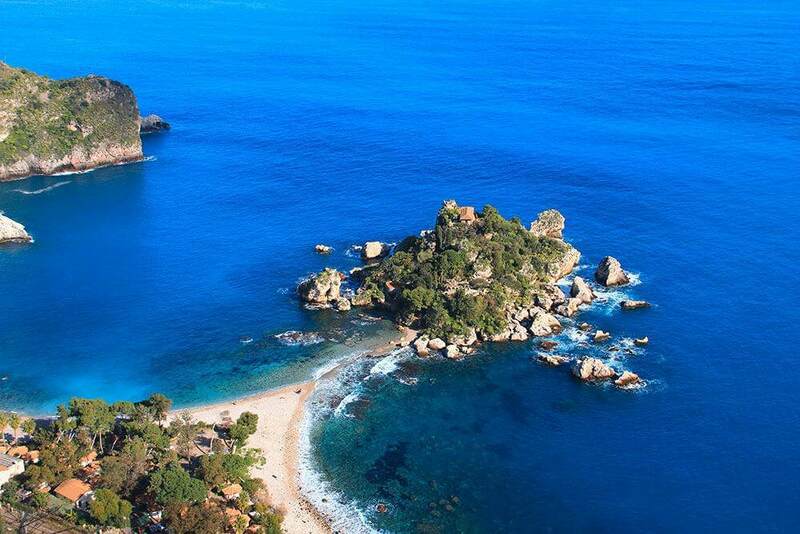 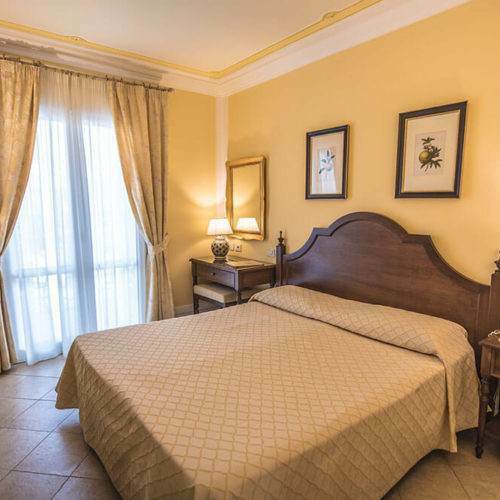 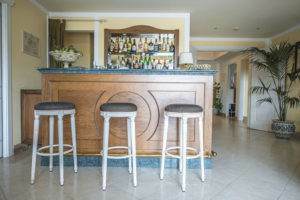 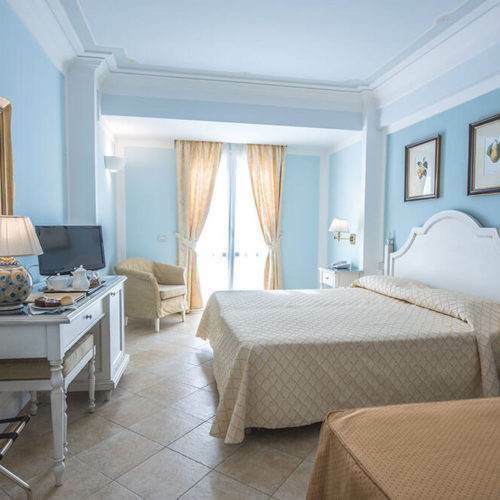 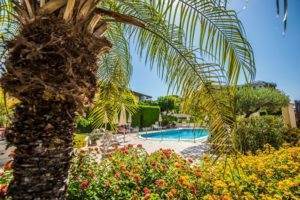 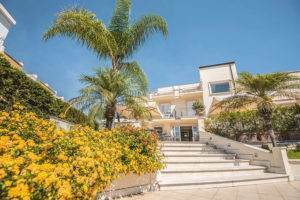 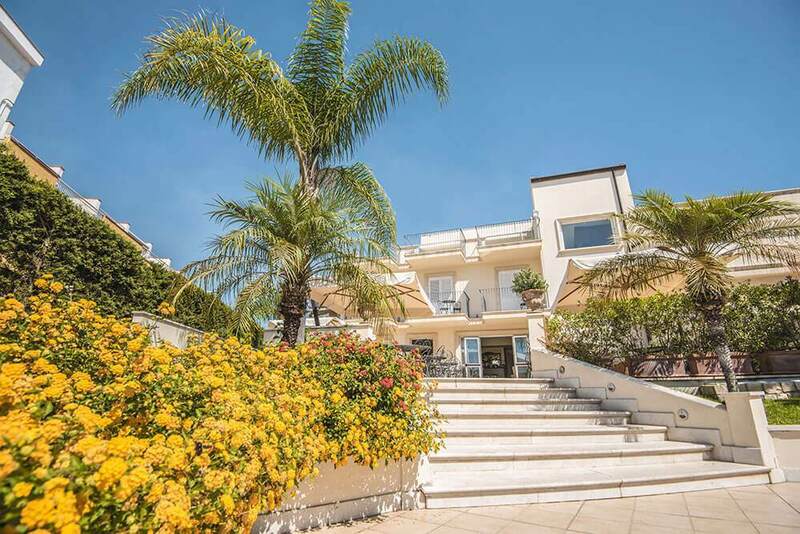 250 meters from the beach in Giardini Naxos, one of the most popular 3-star hotels near Taormina, the Hotel Villa Daphne enjoys a quiet and convenient location for a beach vacation in Sicily or cultural excursions in Taormina and its surroundings and in Eastern Sicily. 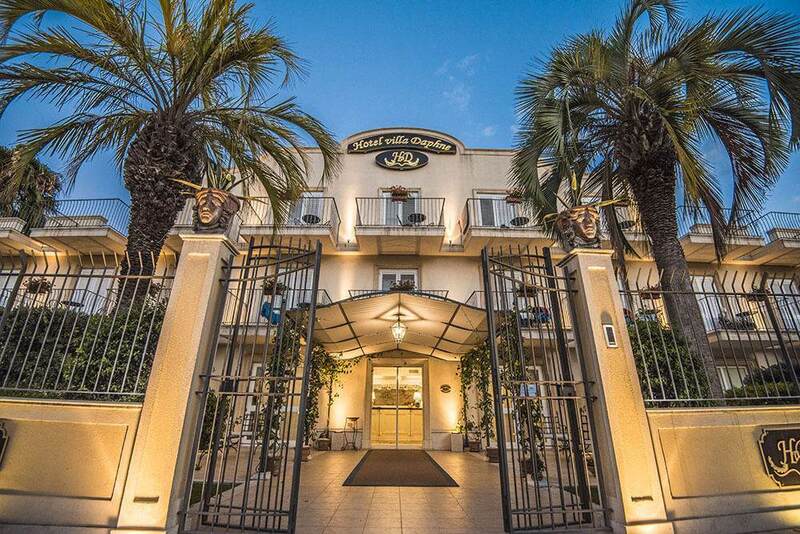 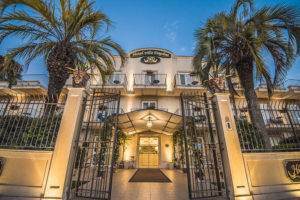 Convenient to public transportation, the bus stop for downtown Taormina, the train station and Catania airport is just 50 meters from the hotel. 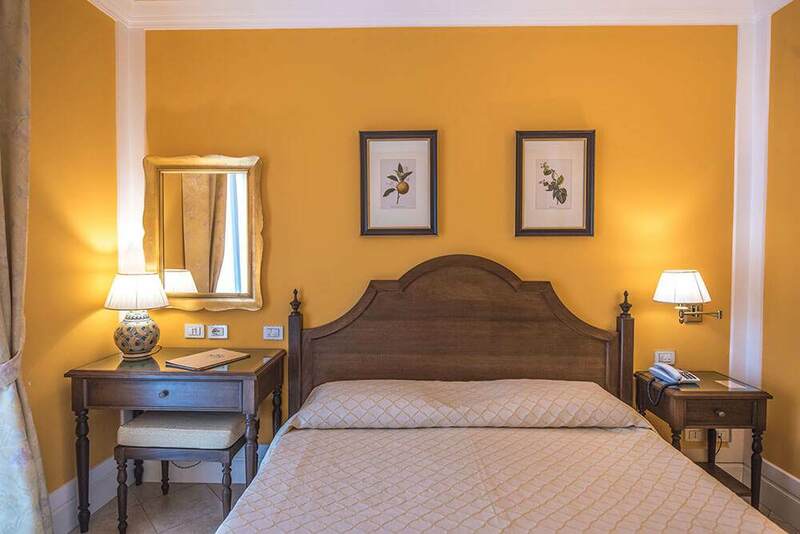 The Hotel Villa Daphne is just around the corner from the shops and bars of the Recanati area. 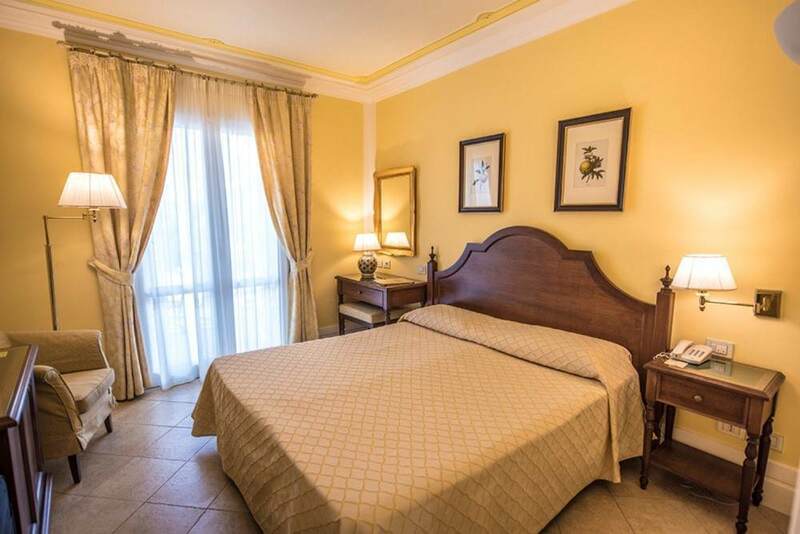 Mediterranean colors, Sicilian elegance, cosy and warm atmosphere. 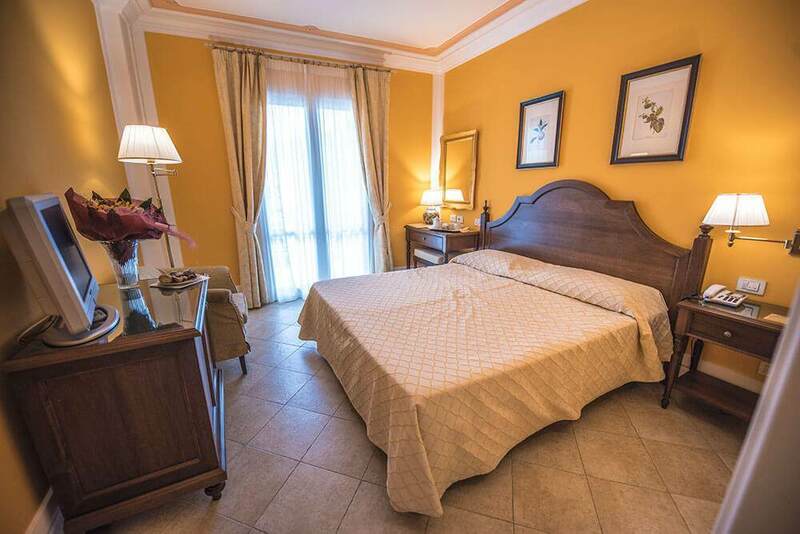 The 22 rooms at the Hotel Villa Daphne reflect the personality of all the attentively decorated hotel areas. 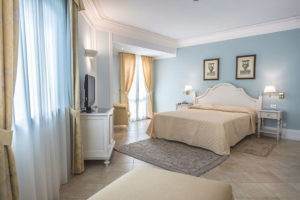 All brightly lit with terrace or balcony, some with a view of the garden and pool, the rooms at the Hotel Villa Daphne, with traditional furnishings and modern technologies to supplement amenities and services, are the best you could ask for from a 3-star hotel in Giardini Naxos and Taormina. 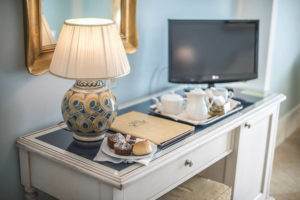 You can also choose to include breakfast or half board. 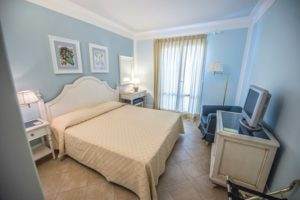 Queen or twin beds. 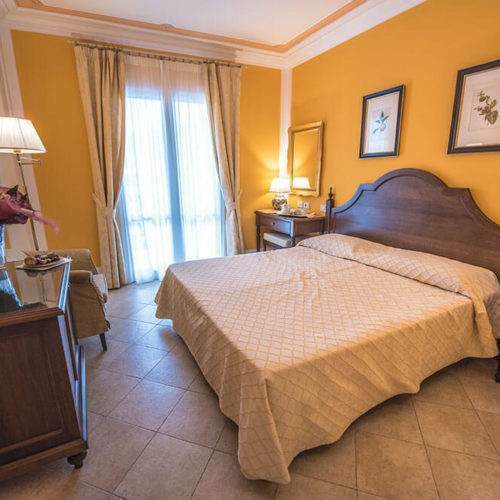 Yellow or orange hues, average size, with balcony. Private bath with tub and shower, hairdryer and sound diffusion. Queen, twin beds or triple (with additional twin bed). 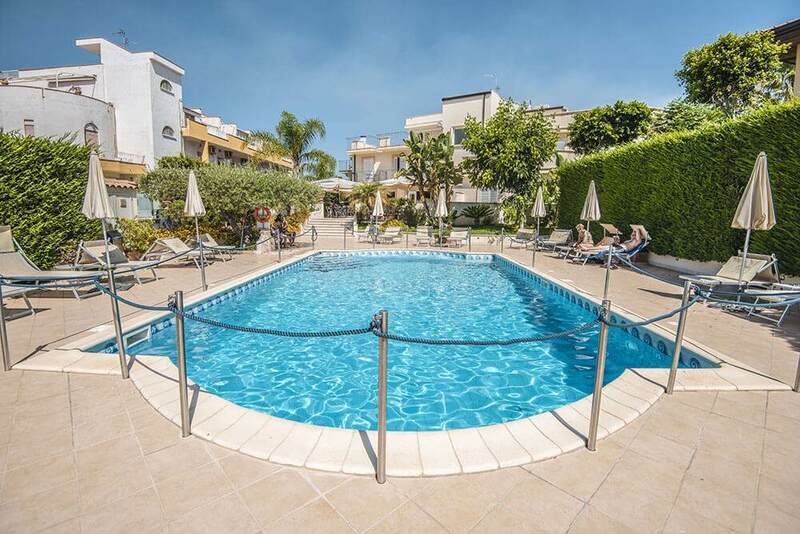 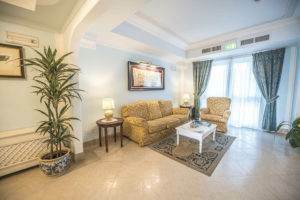 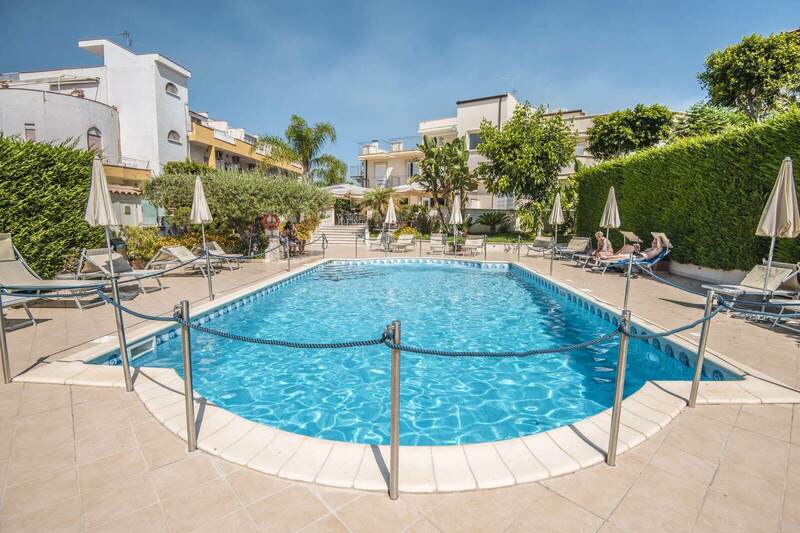 In light blue hues, ample size, with balcony or terrace and view of the pool. 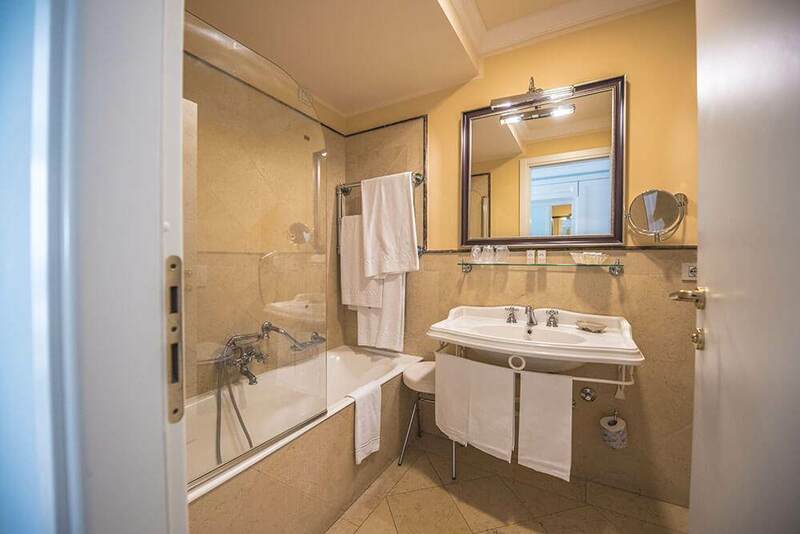 Private bath with tub and shower, hairdryer and sound diffusion. 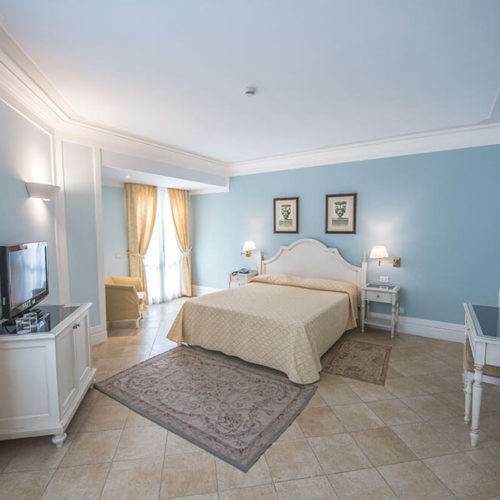 Queen, triple or quadruple (with two additional twin beds). 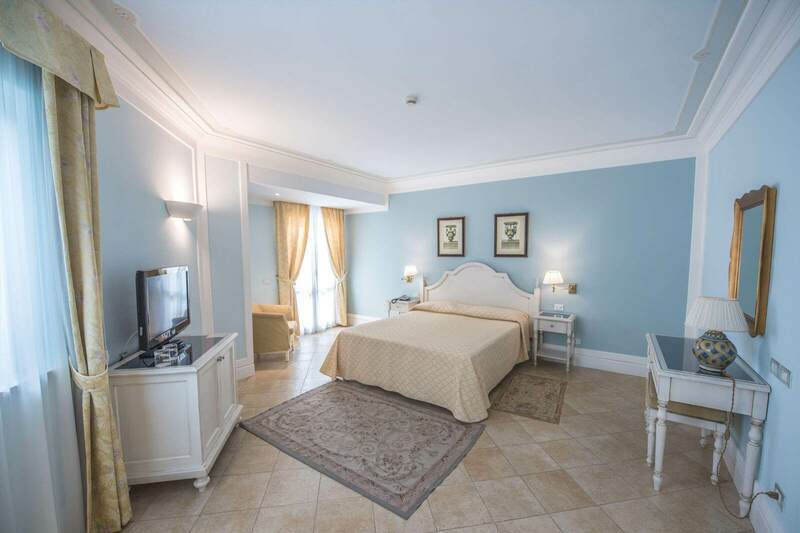 In light blue hues, it includes an ample entrance, large bedroom, bathroom with whirlpool, hairdryer and audio system. 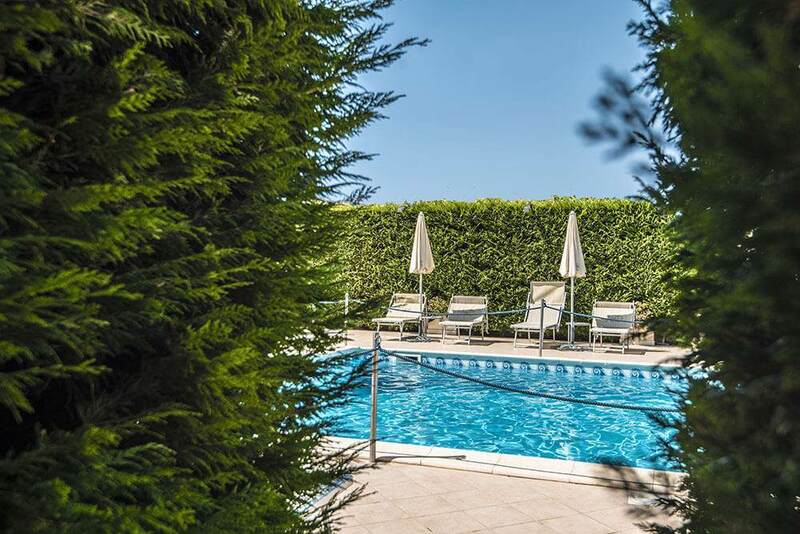 The terrace has a view of the pool. 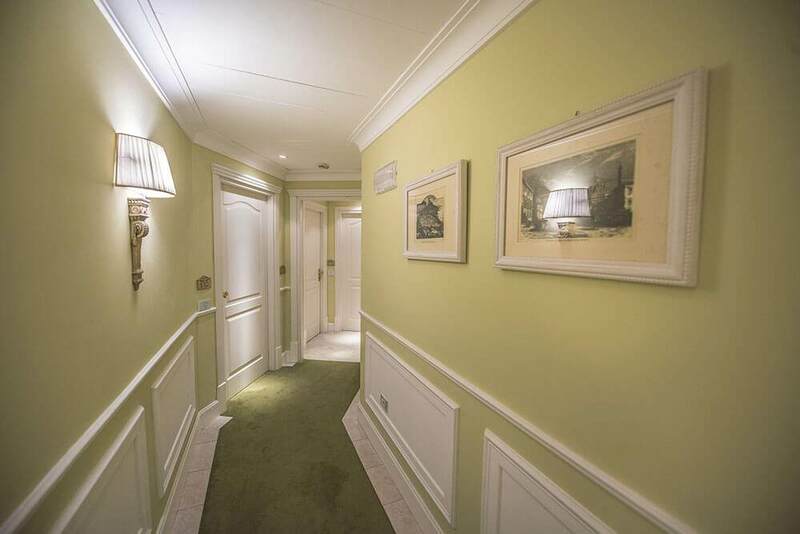 Two classic adjoining rooms. Each room has a private bathroom (one with tub and one with shower), hairdryer, audio system and terrace overlooking the pool. 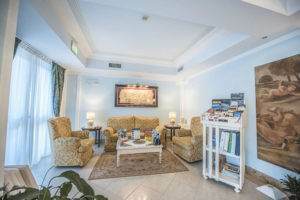 On the ground floor. With a small patio on the garden, they are spacious and include handicap accessible bathroom with shower.